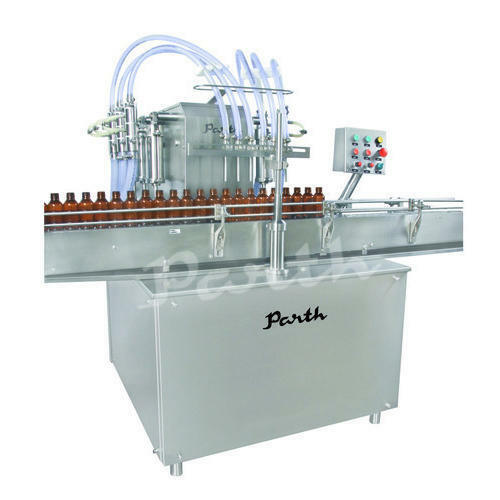 Manufacturer Exporter of Lubricant Filling Machine. Our product range also comprises of Filling Machine, Bottle Filling Line Machines and Cap Sealing Machine. Parth Engineers & Consultant is founded since 1996, specializes in designing and manufacturing a full line of packaging machinery. We also take part in international and domestic exhibitions and promote our machines over the world such as Kenya, Middle East, and Southeast Asia, North America, Central America, Russia and so on. At present, we have applied and owned many intellectual property rights on our unique machinery products. "Pursues excellent quality" is our maxim; manufacturing professional, excellent, beautiful and humanization operation packaging equipment is our goal. We will continuously develop and create new packaging machines, pursue perfect quality of packaging; and offer safe, efficient and competitive packaging machines to serve our customers.